The Fairfield Inn & Suites East Orlando/UCF offers comfort and a convenient location to many desirable destinations. Within a mile of the hotel is the University of Central Florida, one of the largest Universities in the United States, and the Central Florida Research Park. The hotel has a spacious outdoor patio with gas grills and a fire pit, a perfect space to enjoy a to-go meal from one of many restaurants nearby within walking distance. After a workout in our 24-Hour fitness center take a dip in our outdoor pool! Be sure to start your day with free hot breakfast buffet and enjoy our other amenities the hotel has to offer along with free wifi, business center and meeting room space. 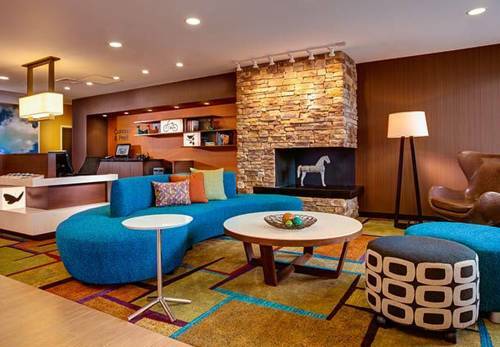 Rooms boast free wifi, mini fridge & microwave and HDTV's with Internet TV where guests can access Hulu and Netflix. We look forward to your stay as our friendly staff will make it feel like home! - Winter Park - Park Ave.